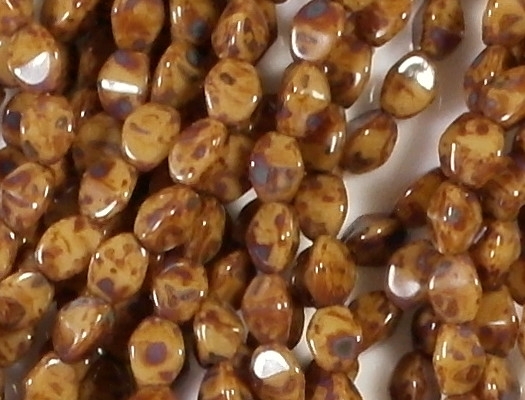 Size/shape: 5mm ovals with three sides and a ridge in the middle. 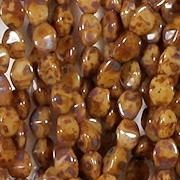 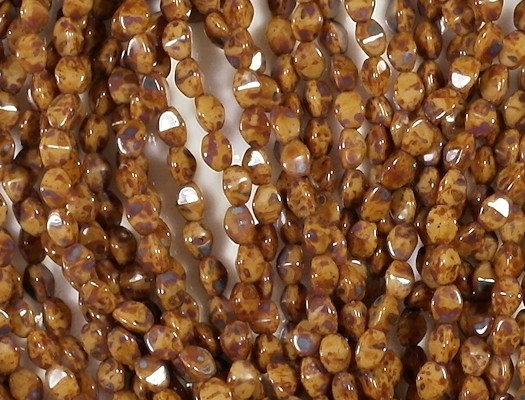 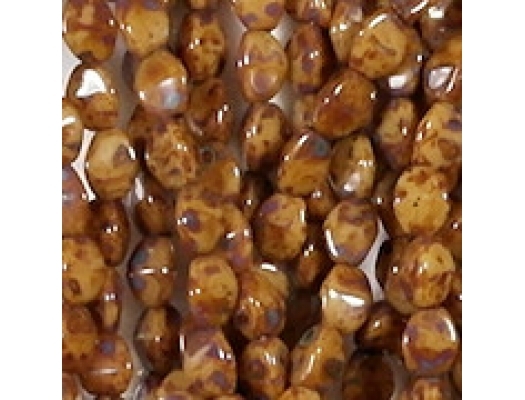 Colors/description: White glass beads with a heavy mottled brown finish. 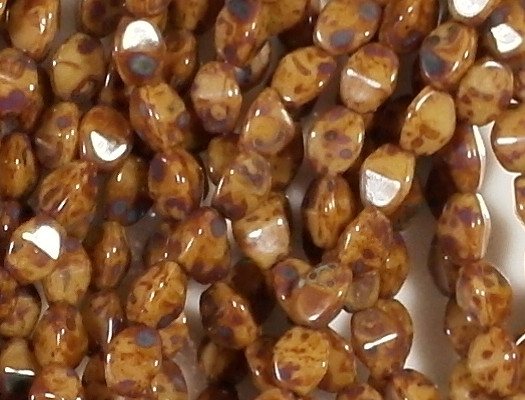 Comments: I started carrying these beads in 2009, and they sold very well. 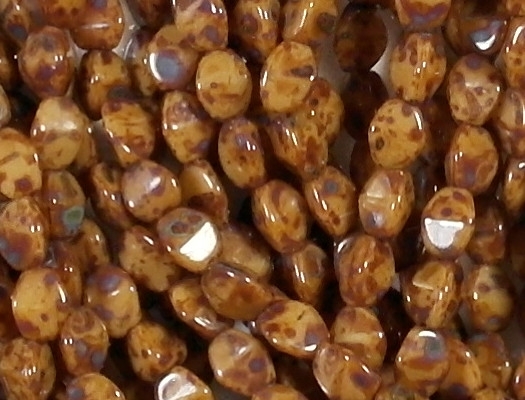 The original batch was darker than the current batch, so I took new pictures in January, 2017. 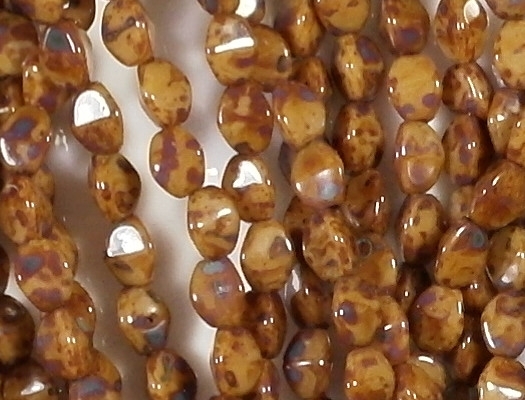 I reduced the price by 20 cents at that time (not for any particular reason but because my mark-up formula changed).